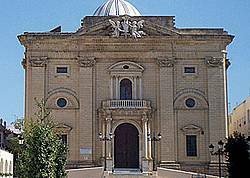 A beautiful example of Neoclassical architecture and declared a place of cultural interest. 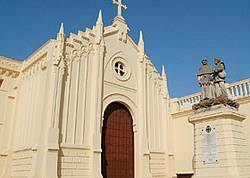 It was built between 1773 and 1814 by the architects Torcuato Cayón and Torcuato Benjumeda. Inside, there are two particular points of interest: part of the altarpiece is by Roque Balduque (1552) and there are two paintings from the Zurbarán school. 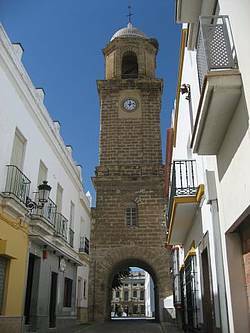 Known locally as "Arquillo del Reloj", this is one of the best-known buildings in Chiclana. It is a civil building constructed in the 18th century which was originally part of the local government building. Given that the nearby church of John the Baptist did not have a bell tower, this tower was used for that purpose. The tower is built of sand stone and has four main parts: the round base with an archway giving access to the square. 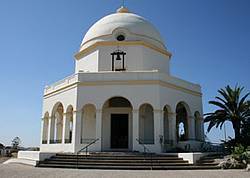 The main body where the clock mechanism is housed; the octagonal bell tower and lastly the dome topped with a wrought iron latin cross. 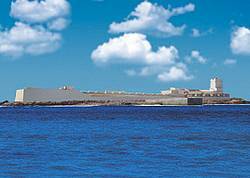 Chiclana´s most important Baroque work. Built between 1667 and 1674 thanks to local business profits from trade with America. Especially remarkable inside are the Baroque altarpieces (17th and18th centuries) and the carving of Jesús Nazareno on the main altar. Outside, the Baroque Genovese façade made from Carrara marble is one of the most beautiful in the province. In this Convent, RR.MM. Augustinian Nuns make the famous Almond Cake (torta de almendras) on sale from monday to saturday from 9.30am to 1.00 pm. 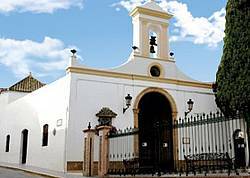 This is the oldest church in Chiclana (second half of the 16th century). Inside the church the Vera Cruz brotherhood, the oldest in Andalusia, keep their figure of Christ. It is believed to be of Mexican origin and to have miraculous powers. It is for example taken out in a procession to pray for rain in times of drought. The current façade of the chapel, which has undergone many changes since it was built, is very plain. The ironwork around its courtyard and its enormous cross are worthy of a special mention. This church was built in 1783 for the Augustinians on the site of an earlier chapel. 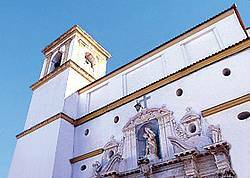 Inside, deserving a special mention are the altarpiece and some paintings like the "Inmaculada de Mulato", as well as the image of "Virgen de los Remedios",Chiclana's patron saint. This image was discovered in the 16th century. Outside is the unusual steeple. It was built at the turn of the 17th century, a period of great epidemics [San Sebastian is the patron saint of epidemics]. The building has undergone many changes and it is difficult to identify the original structure. The last changes were made in the 20th century and they have given a neogothic look to the building. In the courtyard outside the church, the monument to Master Don Antonio Cabrera, an excellent speaker, scientist and botanist is worth a special mention. 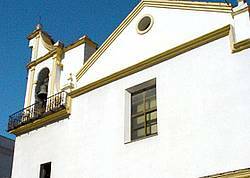 Dating from the second half of the 18th century, this is one of Chiclana's most representative buildings because, due to its position overlooking the city, it can be seen from everywhere around. Its structure is octagonal and is surrounded by a series of arches. The inside houses the image of Saint Anne and the Child Virgin (Virgen Niña) by sculptor Domingo Giscardi (18th century). Opening hours Park: Monday to Sunday from 08:30 am - 02:30 pm and 03:30 pm - 09:00 pm. Tuesday, traditional cult day and visit of the pilgrimage church. Opening hours: Tuesday from 9:00 am to 2:00 pm and 4:00 pm to 8 pm.